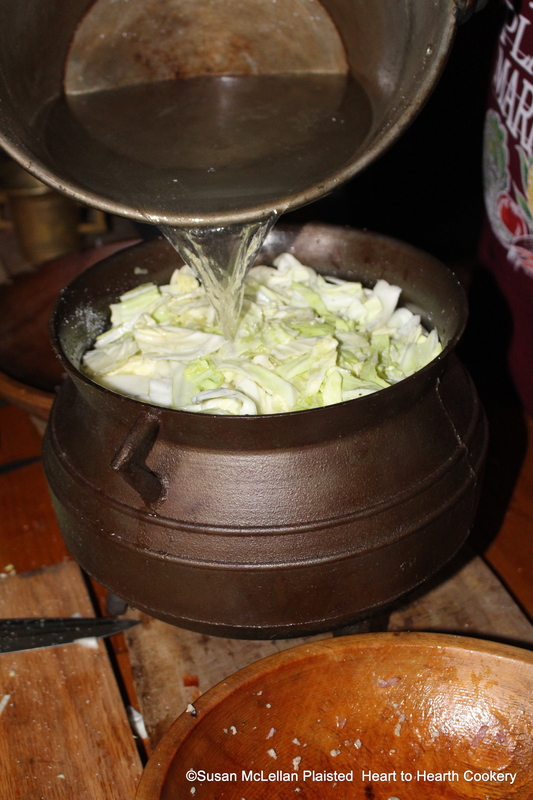 For the Pennsylvania German receipt (recipe) Gumbis, once the ingredients, cabbage, apples, onions and meat (ham hock/ sausage) have been prepared they are layered in the pot in the same order. The top layer should always consist of cabbage. The reserved broth from simmering the ham hocks is added.